Vancouver-based Matt Makes Games’ Celeste, the studio that’s also behind hit multiplayer game TowerFall, took home the ‘Best Independent Game’ and ‘Games for Impact’ honour at the 2018 Game Awards. Celeste is an ultra-difficult sidescroller for the Nintendo Switch that garnered a significant amount of attention when it first released earlier in 2018. While Celeste features throwback, pixelated visuals, it very much feels like a game released in 2018 thanks to its sleek level design, responsive controls and surprisingly difficult puzzles. 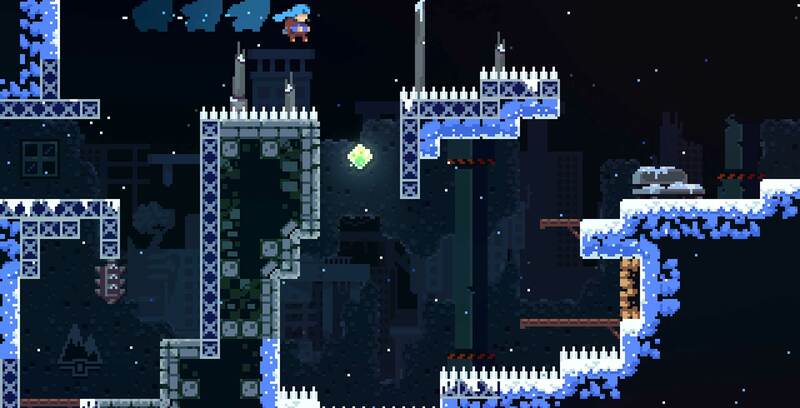 Celeste faced stiff competition in the ‘Independent Game of the Year’ category from well-regarded titles like Dead Cells, Into the Breach and The Messenger, a game released by Quebec City-based studio Sabotage. Along with winning ‘Independent Game of the Year,’ Celeste also took home the ‘Games for Impact’ award for its depiction of combating mental illness and anxiety. You can view Thorsen’s brief speech above. Celeste is available on the Nintendo Switch for $24.51.